The deaths and imprisonments of the Palestinian soccer players at Israel’s hands demand answers. “Checking out” what is happening to Palestinian soccer players would be well advised, and not only for Ms. Psaki. Last week, I received what could best be described as an overwhelmingly hostile response to my article on a recent shooting by Israeli Defense Forces (IDF) of two youth soccer players, and how this could affect the extremely perilous position Israel finds itself in the international soccer federation, FIFA. 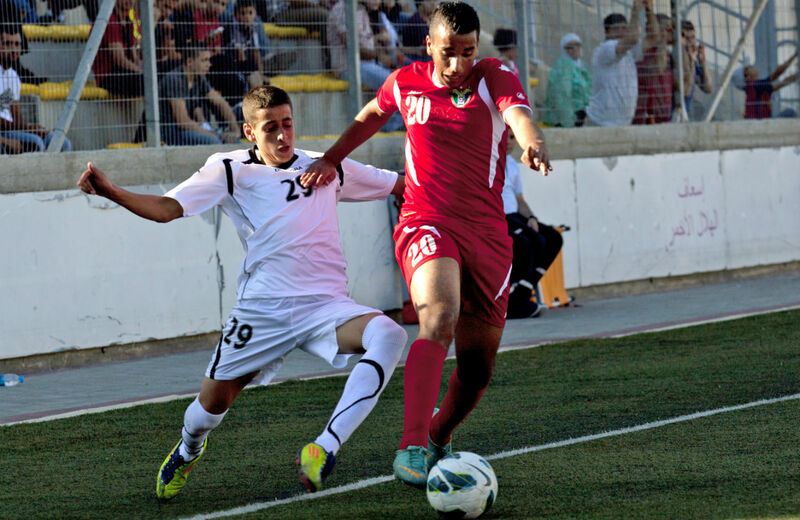 My piece went through the Palestinian Football Association’s very underreported push to get Israel removed from FIFA. Their appeal has been gaining support and will be raised formally at FIFA’s meeting in Brazil. The second part of my article centered around the aforementioned recent shooting of two young soccer players in their feet outside of an IDF checkpoint. The IDF claimed that the two young men had a bomb, something that they deny. My article aimed to show that this incident, alongside the jailing, injuring and killing of prominent members of the Palestinian national soccer team would have the effect of adding fuel to the movement to have Israel removed from FIFA. I expected to get the typical barrage of hate mail from the usual suspects: the darkest corners of the Internet that believe on principle that Palestinian life is cheap if not entirely without value. At most, these e-mails are as nettlesome as spam. The other part of my story that people accused of being untrue was my theory that members of the Palestinian soccer community are being targeted for violence by the Israeli state. This was described to me as “laughable,” “ridiculous,” and one even said that they would reach out to The Nation directly to agitate for dismissal. There was Ayman Alkurd. He was a 34-year-old member of the Palestinian national soccer team. Alkurd was killed during the 2009 Operation Cast Lead when a missile was sent into his home in Gaza. There was Wajeh Moshtahe, another national team member. He was killed in his home during Operation Cast Lead as well. He was only 24. There was Shadi Sbakhe, another national team member who suffered the same fate. All three, in fact, died within seventy-two hours of one another. They reminded many, at the time of their deaths, of Tariq Al Quto, described by the BBC as “a talented midfielder,” who was killed by the IDF in 2004. This is reality for the Palestinian national team: four dead by Israeli munitions and—at least—three jailed in Israeli prisons without trial over the last decade. I have no idea whether people will see this as constituting a “targeting” of the Palestinian soccer players. I do believe that it is our job as sports journalists to ask the questions. There can be no doubt that we would press for more information if those killed and jailed were members of the Spanish national team, the German national team, the Brazilian national team or, heaven forfend, the US national team. Israel’s future in FIFA should depend on its answering these questions, but they only get answered if they are asked. Yes, it is understandable why looking to FIFA for any kind of moral guidance is laughable. The locations of the next two World Cups, Russia and Qatar, contain enough human rights violations to keep Amnesty International busy until the next century. But attacks on athletes themselves need to be, pardon the expression, a red line for all international sporting bodies: a red line no country should be allowed to cross.